Anderson and Garland fetched a pretty penny for a North East coin collector who sold a gold proof coin set through the auction house this March. The full set that was sold at auction contains a complete collection of UK currency coins in gold, £5, £2, £1, 50p, 20p, 10p, 5p, 2p and 1p. It also includes a collection of the Queen’s Maundy money in gold, which are four coins representing the old 4d, 3d, 2d and 1d. Director Fred Wyrley-Birch speculated that the 1p coin alone was around 20,000 times more valuable than its face value. The full set sold at auction for £4,600 in the sale on 5th March. Wyrley-Birch said: “The weight to value ratio of the 1p coin in particular is of interest as it’s made from solid gold and has a scrap value of £200 but if you were to walk to the shops to spend it, 1p is all it would be worth. Over 200 lots containing coins, postcards, stamps and other antiquities were sold in this auction. GB 1840 1d. black, G.E. unplated 3 margin, example close but clean, n.e. 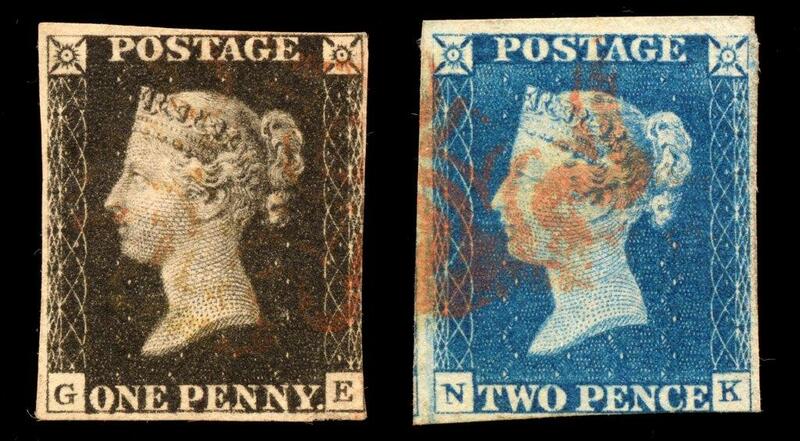 corner very lightly cancelled with traces of red cancellation; GB 1840 2d. blue, NK unplated 3 margin, example A, little cut into at bottom right with slightly oily red m/x cancel. GB 1884 £1 brown lilac watermark, three Imperial Crowns central cds cancel through profile, with traces of light boxed cancels and a blue diagonal registered crayon line apparent 2 x blunt perforations lower right. 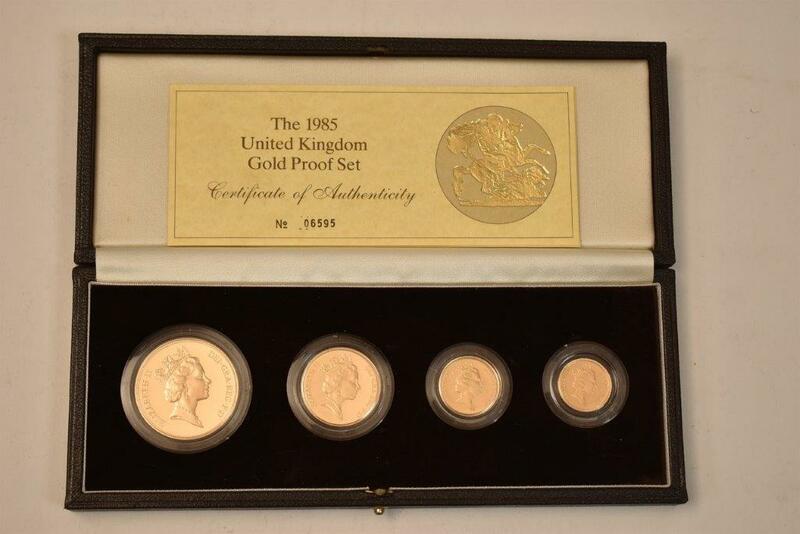 Royal Mint United Kingdom four coin gold proof set, 1985, comprising £5, £2, sovereign and half-sovereign, with certificate of authenticity limited edition 6595/12,500, in fitted case. 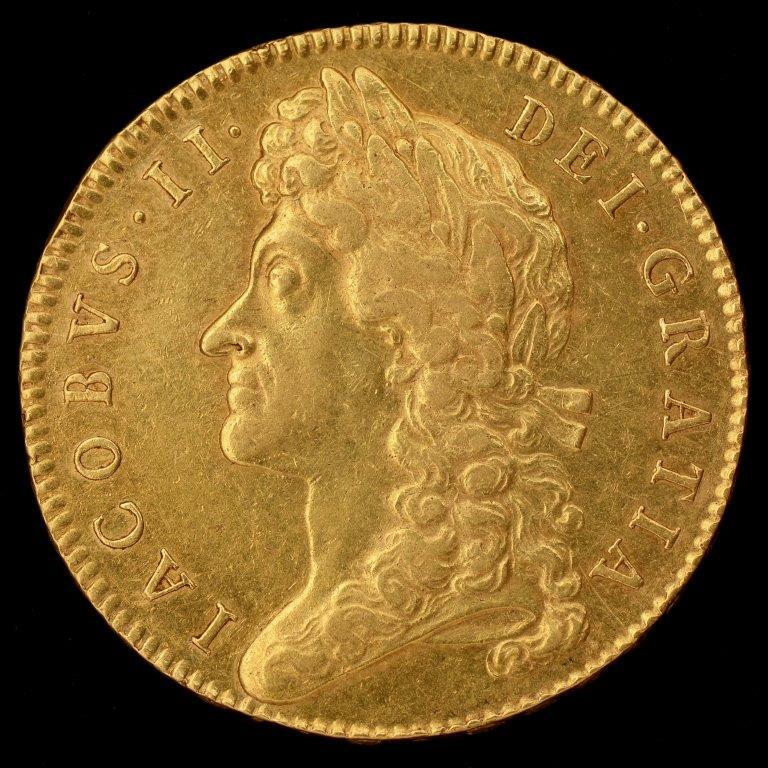 James II (1685-88) gold five guineas, 1688, first laur. bust left, legend and toothed border surrounding, IACOBVS. II. DEI. GRATIA., rev. crowned cruciform emblematic shields, emblematic sceptres in angles, pellet at centre, date either side of top crown, legend and toothed border surrounding, .MAG. BR. FRA. ET.HIB REX., edge inscribed in raised letters, .+. DECVS. ET. TVTAMEN. ANNO. REGNI. QVARTO. +, 41.7g, S3397. Further results from the auction can be found here and you can browse past coin or stamp sales in our Sold Lot Search. The Stamps, Postal History, Postcard and Coins Sale is an example of the specialist auctions held by Anderson and Garland auctioneers. Over 200 lots were sold in this particular sale. We hold approximately 40 auctions per year, including a fortnightly Town and County auction as well as a range of specialist sales. Auctions of interest approaching include The Musical Instruments Sale, The Collectors Sale, The Wine & Whisky Sale and The Watches Sale. All upcoming auctions are listed in the Auctions and Events calendar. Anderson and Garland is consistently accepting items for sale at auction. To request a free valuation at any time, simply enter in the details in our online valuation form or email info@andersonandgarland.com. We also hold Free Valuation Days every day 9am – 4.30pm here at Anderson House, and we offer free home visits for those possessing larger collections or if they are unable to bring them in to us.